Newsletter 605 – A Psychological Analysis of Encouragement? 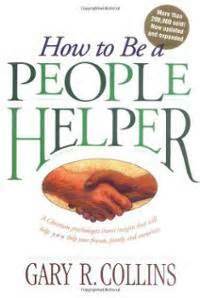 In terms of sales, my most successful book has been a little volume titled How to Be a People Helper. I wrote it in a week (usually it takes many months or even years) after a series of talks that I gave to seminary students. The book has been translated into a number of languages and still is in print. 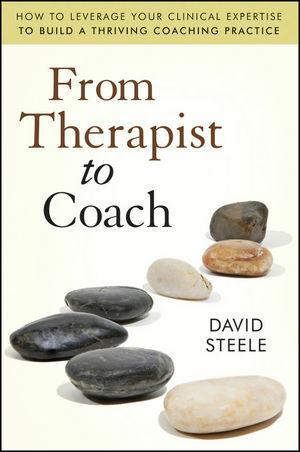 For years my work centered on people-helping and teaching others to be counselors. But like every other field, counseling has changed over time and the people-helper book and cover artwork have become outdated. The publishing industry also has changed. So have potential readers of this book. So have I. My interest in people-helping persists but today I’m more focused on people-building, focusing less on counseling and more on coaching and journeying with emerging students and leaders. Encouragement is at the core of this work, and the Bible even describes encouragement as a God-given spiritual gift that some people have in abundance (Romans 12:6, 8). No such analysis appears in a article titled “The Psychology of Encouragement.” Published in The Counseling Psychologist (February, 2015), the author defines encouragement using psychological terminology: it’s “an expression of affirmation…to instill courage, perseverance, confidence, inspiration or hope within the context of addressing a challenging situation [challenged-focused encouragement], realizing potential, ”or reaching a goal [potential-focused encouragement]. The article describes how encouragement might be measured, related research findings, its diverse manifestations (individual and group encouragement, for example), and proposes something called a Tripartite Encouragement Model that can be used in counseling and in other settings like teaching, family therapy, leadership or coaching. Analyzes like this can be useful, but might we over-scrutinize something that is such a common way for expressing support? Over-analyzed or not, probably encouragement needs to be a more prominent part of our people-helping and people-building practices. As a footnote, I apologize for not yet responding to those of you who commented on the previous two newsletters. Thanks for your responses. And can I encourage you to respond again and leave a comment about this post and your experiences with encouragement? Newsletter 572 – Why Do People Helpers and Leaders Resist Help for Themselves? Most people at work [including counselors, pastors and students]…divert considerable energy every day to a second job that no one has hired them to do: building and preserving their reputations, putting their best selves forward, and hiding their inadequacies from others and themselves. We believe this is the single biggest cause of wasted resources in nearly every company [and organization] today. This quotation is taken from a contemporary business magazine. The article argues that it is best for an organization and for individuals to face this reality and find ways to get help and even turn their struggles into growth opportunities. Set this against a major article in Monitor on Psychology (April 2014). Researchers focused on psychologists who spend their days helping others but neglect to care for themselves. The result is a high incidence of burnout, depression, vicarious traumatization and compassion fatigue. And that’s not limited to professional therapists and graduate students. What deters people like you and me from getting needed help? The answers are not surprising: social stigma, fear of emotion, resistance to self-disclosure, and difficulty admitting personal distress. For some it is lack of time and resources, difficulty finding a therapist who will keep quiet, resistance to going to a colleague or former student, concerns lest revealing personal stress can adversely impact one’s professional reputation. There’s even a sense that getting help might not do any good. Nevertheless, the Monitor researchers found that the outside help was effective and valued among most of those who’d had the courage to reach out. Getting help for personal problems benefits personal and professional effectiveness. Organizations, church boards and academic institutions can help by making resources available and encouraging growth through therapy and coaching. Some research even suggests that companies benefit when they encourage their employees to seek available assistance. For individuals it may be best to talk with a friend or mentor who can be trusted. When these resources are not available maybe you can find a helper who does not know you. Whatever we do, it rarely works to handle these things alone. The Bible emphases repeatedly that we need each other. Lone-rangers often self-destruct. It would be good to hear how others have benefited from counseling or coaching, or what you’ve learned about helping others get needed help. Please comment. Newsletter 563 – Why Do Bad Things Happen? Shortly before Christmas in 2012, a man entered Sandy Hook Elementary School in Newtown, Connecticut and began shooting at terrified seven-year old kindergarteners and school staff. Twenty-six people died, along with the gunman and his mother. A few days later author Philip Yancey was invited to speak at a community-wide memorial service. 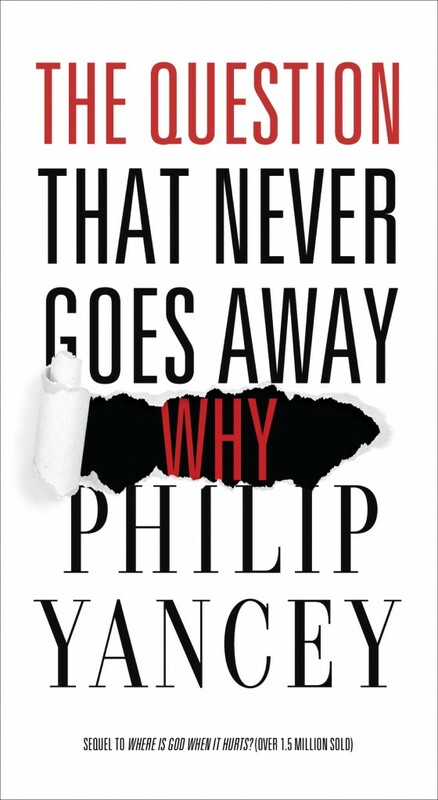 Yancey’s earlier book Where is God When it Hurts, had sold 1.5 million copies, and early this month he published a follow-up, The Question That Never Goes Away: Why. This is a short, reflective book that draws on the author’s experiences and interviews with people in Newtown, Sarajevo Japan (where many were swept out to sea after the 2004 tsunami), Boston following the marathon killings, Virginia Tech after the shootings there, Columbine, and parts of the southern US devastated by Hurricane Katrina. Why does a good and loving God permit this? Why does the Bible never answer this question? Why does he quietly stand aside while agnostics and other critics mock God and make fun of believers? Yancey struggles with questions like these and describes life changing experiences in his own life where he suffered and cried out to a silent God for answers. Can any topic be closer to the work of counselors, religious leaders, and others who help people deal with the why questions? If you are a people helper (we all are, Galatians 6: 2-3) you might want to read Yancey’s new book. God never promises to protect us from calamities or tragedies. People heal faster and better when they are connected with caring communities. Pain, grief and why? questions never go away but how we respond can be healing. It is understandable to grieve about the loss of a future but never forget what we enjoyed for a while in the past. Yancey’s book left me sobered and thinking more about God. Maybe that’s what the author intended. Please comment, especially if you’ve read Philip Yancey’s new book. 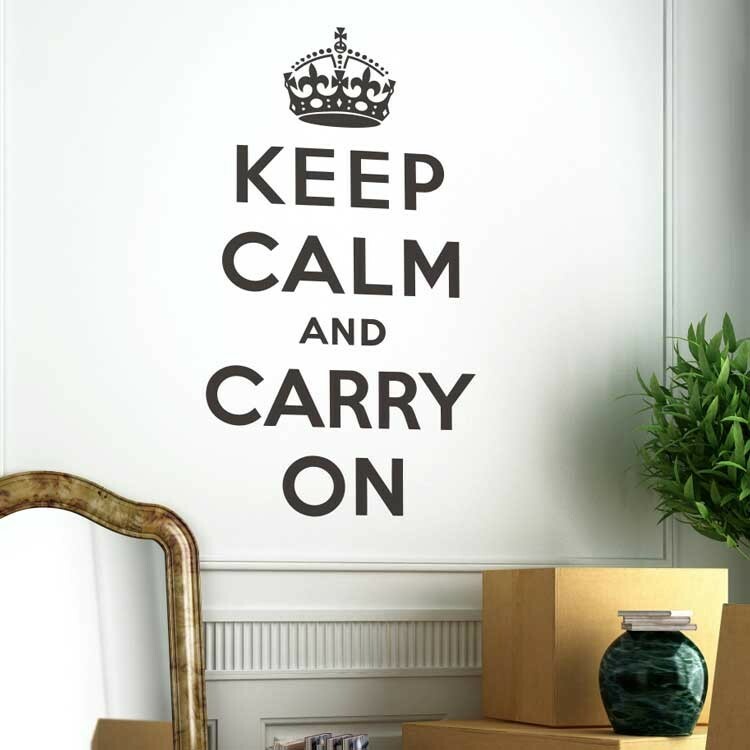 Newsletter #556 – Keep Calm and Carry On? This week I have two close friends who are facing career-defining exams. Both of my friends are approaching this with understandable anxiety. It was appropriate, then, that I forwarded each a copy of “Feeling Anxious? Why Trying to Keep Calm is a Terrible Idea” published in the Fast Company daily blog on December 2, 2013. Each day the blog gives several practical, brief articles relating to leadership and career issues. Anyone can subscribe for free at www.fastcompany.com. The article sent to my friends describes highly visible, boldly-fonted World War II signs that were posted all over Britain. The message, Keep Calm And Carry On encouraged war-ravaged British people to try keeping calm and going about their normal activities even when bombs were dropping almost every night. That’s a terrible idea says the Fast Company writer because staying cool under pressure “totally misses the way emotions work. Anxiety is an automatic physiological arousal in the presence of potential danger. 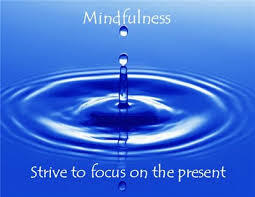 Keeping calm is a cognitive response that rarely works in the presence of physical arousal. “Since arousal is so automatic, it’s hard to control….very, very difficult to do successfully especially leading up to very anxiety-inducing tasks” or experiences. A better solution is to get excited. This lets the body stay in an amped-up physiological state while the mind goes to something better that focuses away from the fear. In a Harvard study of public speakers nervous about an important speech, subjects who told themselves to get excited performed better: “they gave more persuasive, competent, and persuasive speeches” than those who tried to calm down or others who did nothing to deal with the anxiety. In reading, I wondered if this is a variation of the power of positive thinking. I wondered, too, if this would have worked with Londoners, told to get excited during the Battle of Britain. Nevertheless, the researcher noted that anxiety distracts us from focusing on real solutions and functioning effectively. Other emotions let us focus on what needs to be done to get past the anxious situations.